Welcome to my Irish Author blog, Mark. Just to let our readers know, you and I first became acquainted through an introduction made by fellow author, Greg McVicker from Belfast. Like Greg, both of your parents came from Belfast. If I’m not mistaken, they emigrated to California, or was there another part of the U.S. before CA.? You are a very accomplished writer, having had articles published in many publications, including twenty “Chicken Soup for the Soul” books and counting. Would you say that writing was “in your blood”? MR: I used to hear my father singing in the shower every morning and to his friends at the pub and was entranced by the effect his voice had on everyone, the joy it gave him and them. I decided very early that I wanted to be an artist of some kind so I could have that magical ability somehow. As I got older, the period in Northern Ireland known as “The Troubles” began to emerge, and the normally happy house would become suddenly somber and silent as my parents watched the news coverage of another shooting or bombing in Northern Ireland. He vented his frustration by becoming a peace activist, and by writing op-ed pieces to the Los Angeles Times and The Belfast Telegraph. He condemned terrorism or violence of any kind and encouraged civil debate, or even uncivil debate when civility was impossible – anything but violence against civilians – but he also criticized the entrenched hatreds and ignorant prejudices on both sides of the political divide. He received death threats for daring to suggest the possibility of wiser behavior. I remember seeing him being interviewed on some television show and feeling pride that my dad was trying, however futilely, to find a way toward peace in his far-away hometown when he could have easily washed his hands of it and immersed himself in a carefree California lifestyle. As the old song goes; “It’s a long way to Tipperary,” but it’s an even longer way from BeIfast to California! It must have been quite the culture shock for your parents at the time. I’m thinking that it probably took them a while to adapt to California? Growing up in Ireland and knowing nothing about California except what we saw on the telly, we always thought that everybody in CA surfed all the time and drank milkshakes. There wasn’t much surfing back in Belfast! MR: That image of California is not too far from the truth. We had a lot of happy days on California beaches and would often drive up to Pismo Beach and Morro Bay in Northern California for a few days. California then was as big and open as our lives and hearts were. My parents were too busy exploring and enjoying their young family to experience any culture shock. Having lived in Toronto and New York had prepared them well. However, I do recall my dad looking at the many “hippies” around our neighborhood in Santa Monica, which is next door to Venice Beach, one of the hippy movement epicenters. “He always thought they were using their lifestyle as an excuse for laziness. It didn’t help change his mind when a hippy tried to give me drugs for my new bike. I yelled, “Dad, this guy wants to give me drugs for my bike!” He chased the hippy to the end of the street and gave him ‘a good hiding’ as they say in Belfast.” I was later befriended by a group of flower children who lived down the street and they were the polar opposite – pure love and kindness. I told a story about them in a Chicken Soup for the Soul book titled Random Acts of Kindness. My dad wasn’t culture-shocked as much as he shocked the culture. He made people laugh everywhere we went with his trademark Irish banter. But that other cliché about the Irish was also alive and well in him – he was a force to be reckoned with when angered – a force of nature. I have heard a cd of songs which your dad recorded. He was quite the performer. He reminded me of one of the famous crooners, such as Sinatra. It seems that you inherited his artistic flair. Can you talk to us about your connection to the “Chicken Soup for the Soul” books and how you got started writing? MR: I love singing but my dad was truly great, though completely untrained. He sang in the shower, in the car, anytime he had a few minutes to himself. As the saying goes, he could sing the phone book and make it sound good.The CD you mentioned is titled Get Rickerby Up for a Song! – something someone would inevitably yell at the pub or anywhere there was a piano player or karaoke machine. After he was diagnosed with Parkinson’s Disease and Dementia, I put that CD together from old cassette tapes he made, hoping listening to himself would remind him of who he was before those cruel diseases started to erase that great mind of his, the same way time had begun to erase some of those tapes. Your dad must have been proud of your literary accomplishments? MR: When I first started getting published, my father read my stories and said, “I was disappointed that you didn’t take the business, but you made the right decision. I like to write, but you’re a real writer.” Ironically, that was the same thing I always said (and just said again in this interview) about his and my singing. i.e., I like to sing, but he was a real singer. I’m so glad he told me that now. It alleviated a lot of my guilt. He understood the importance of following one’s own heart, as he did when he hugged his parents and little sister goodbye and got on that boat to Toronto. He knew how important it is to chase a dream and give it the best shot possible. To date, my stories have appeared in twenty-one Chicken Soup for the Soul books. I’m always proud to contribute to them because they’re an internationally recognized brand, and because the product is wholesome and inspiring. I’ve written a few children’s books and am currently shopping them around. The Chicken Soup for the Soul books are, I hope, a good lead-in to that. After all, if I had written and directed Bloodbath 2018, I’m not sure publishers would be so willing to take a chance on me as a children’s author. I owe a tremendous debt of gratitude to the people at Chicken Soup for the Soul, particularly the publisher, Amy Newmark. They helped me establish myself as a serious writer and doors have opened because of my work with them. I usually have several projects going at once, but one I’m most proud of is Big Sky, a western TV series in development. I’m the creator and head writer and very passionate about it. As idealistic as it sounds, I feel like it is just what America and the world needs right now and can do a lot of good. For those of our readers who have not yet read the book which yourself, myself and Greg McVicker co-wrote – “Four Green Fields, Wild Irish Banter and Craic,” I want to let them know that the name of the book is related to the three of us as writers and to your late father; John Rickerby – the fourth Green field is actually your Da. Even though you grew up as a typical Californian teenager, eventually you embraced your Irish culture. Can you tell us something about that metamorphosis? I went to Belfast when I was three but of course remembered very little about it. In fact, the memory that stood out the most over the years was of being carried to an outhouse by my mother in the bitter cold only to find that the actual depository was a missing wooden plank with the eerie black of the unknown below it. It could have been three feet or three thousand. Anyway, my wee arse was too narrow to sit down without falling, so I stood. Since this occurred during my potty-training years, I stood on toilets for several years after I got back home, probably still terrified of falling in, never to be seen again. When I was fifteen, my da figured it was time for me to go to Belfast and be properly introduced to my heritage. I wish I could say I had an epiphany and became a chip off the old block on that trip but I didn’t. I was a typical teenager, being shown grand sights and shrugging disinterestedly, miserably unaware of the golden treasure of each squandered moment. Oh, to take that trip again with my current mind. Youth truly is wasted on the young. But it wasn’t all bad. I walked across the Carrick-a-Rede rope bridge as my da carried my young cousin Darren on his back, shared ice cream cones with wild goats in Carrickfergus, and played on the beach in Bangor. I played with younger kids in the street in front of my father’s childhood home at 46 Prestwick Park Road in Belfast, County Antrim, riding skateboards and playing baseball with a cricket bat. Young as they were, the kids were easily impressed. I did “360” spins on the skateboard and was able to hit the ball so far with the bat, one of them yelled, “Magic! You Yanks can do everything!” After that day, they would often knock on the door, yelling in unison, “Can Mark come out and play?” I had never been anybody’s hero so that meant a lot to me. I’ve thought about those wee lads over the years, wondering what became of them. That memory is a treasure now because my father was once one of those boys playing in the street. When he wrote about his childhood friends, I didn’t have to imagine what he was describing. I had firsthand experience. I returned to Belfast when I was in my late thirties and found that the streets there had befallen the same fate as the streets of California, devoid of the children they once teemed with – children now hiding indoors, staring at computer and cell phone screens instead of playing and running together outside in the bracing Antrim air. Of everything he ever said to me, that meant the most, and it has alleviated a lot of grief since he passed away in December of 2014. I’ve gone from the kid who wanted nothing to do with anything Irish to a man who can tell every story my Irish father ever told, and with equal joy and passion. I went from the kid who hated Irish music to a man who can sing every one. Sometimes I can hear my father’s voice in mine, when I’m able to hit the notes he hit so effortlessly, and he lives again in some small way. When I sing or make an inappropriate joke or pull one of the ridiculous facial expressions he used to make just to make others happy for a moment, my wife often says, “You’re your father all over again.” I am, and proud of it. There is no higher compliment. I was wondering how the wild goats of Carrickfergus became so fond of ice cream cones. Now I know! Can you talk about any other interesting projects you have planned or are currently ongoing? MR: There’s the aforementioned Big Sky, which is my main focus now that it’s in pitch phase. Of course, I’m still reeling from the rollicking collaboration with you and Greg McVicker, the book titled Four Green Fields, Wild Irish Banter & Craic, Shenanigans and Poetry. Because I have become my father so completely, writing that book was a great joy and a way to feel closer to him. It was hard at times because it made missing him more acute, but telling his stories or just writing about the character he was, makes me happy because I feel like I’m perpetuating his legacy. I’m overjoyed with how well Four Green Fields turned out. Our three perspectives couldn’t have been planned better – the Belfast child, Greg McVicker, torn from the place and people he loved so much because of the troubles – you, J.P., the country boy raised in the old ways up in the Inishowen Peninsula of Donegal and me, the “half-breed”, Belfast/California hybrid. Of course, we all shared unpredictable fathers in common – and the unfathomably deep wells of stories they unwittingly bestowed upon us. I’m always sending new stories over to Chicken Soup for the Soul and working on a variety of scripts for a digital streaming company being developed right now that will hopefully rival the biggies very soon. As my friend and collaborator, Steve Alexander often says, “The harder we work, the luckier we’ll get.” It’s true. Writers should write. A lot. If they publish a tenth of it, they’re luckier than most. You had so many hilarious family stories included in our joint collaboration, that I’m wondering how many you could have left? Even though I have not yet written any material for a sequel, I believe that Greg is hard at work on the sequel as we speak. MR: Thanks! Needless to say, I enjoyed your stories immensely, too. Regarding having any stories left, I believe there are always more. I don’t believe in writer’s block. It’s often something writers talk about to make themselves sound romantic and tortured. The problem is not trying to figure out what to write, it’s figuring out which story to tell of the millions any human being who is alive in the world accumulates as the years pass. So it’s more about cultivating the state of receptivity all writers must have, and picking the stories that are worth telling from the vast storehouses that are each of our minds. I’m looking forward to the next collection of craic and shenanigans with you and Greg! Can you tell readers where they can get your books and anywhere you may be doing book signings in 2018, so they can get their copy signed? MR: I was planning to go to the Dublin Irish Festival in August but had to cancel. However, I am planning on doing a book signing showcasing all of the Chicken Soup for the Soul books and other books I’ve written or co-written. The Barnes and Noble where I live here in Burbank has agreed to it and are waiting for me to give them a date. I’m aiming for October for that. I also sell books through my website at www.markrickerby.com and am always happy to sign them if requested. 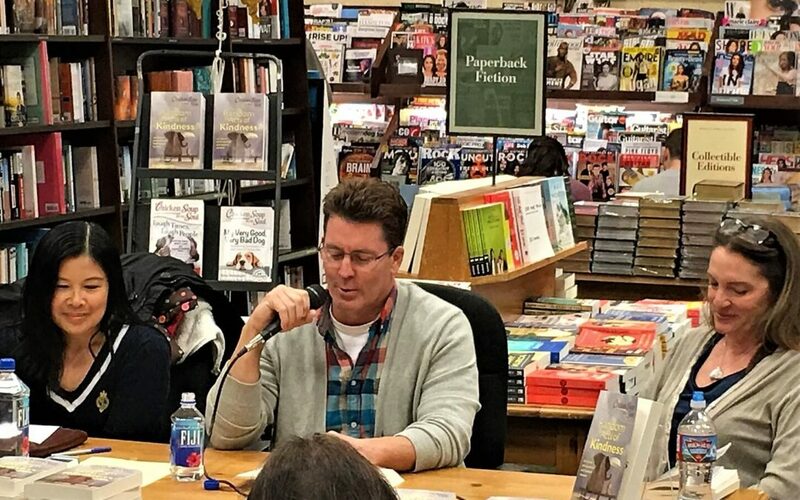 Thanks for the interview, J.P. It’s been a pleasure getting to know you, and it’s an honor to have my name on a book next to yours and Greg’s. I’m looking forward to many more books together! 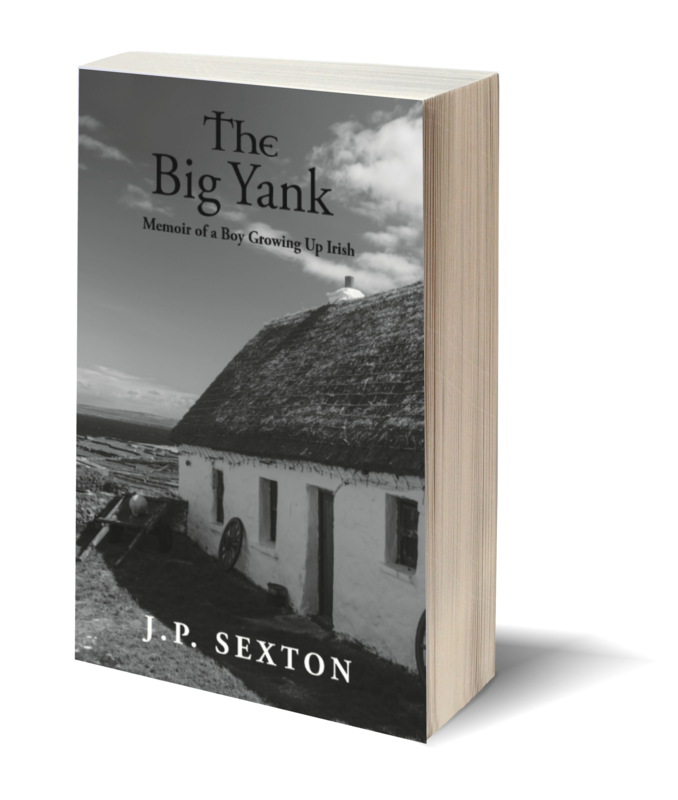 Thank you, Mark for taking time out of your hectic schedule to share these wonderful stories and insights with us here on The Irish Author blog. I wish you great success with your television series and future CSFS contributions, not to forget more crazy stories from our unorthodox families! Slan agus beannacht! That Mark Rickerby sounds like one heck of a guy!